A London hospital is using VR to make medical testing more comfortable for children. 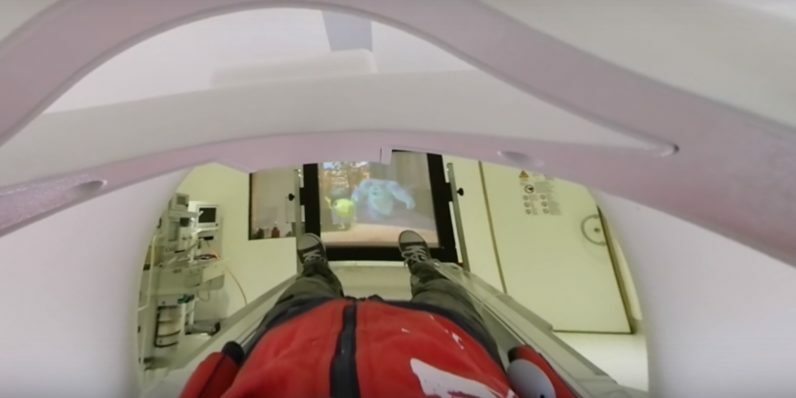 King’s College Hospital teamed with one of the hospital’s play specialists to create an app that — when worn before an MRI — helps kids understand the procedure through an immersive VR experience. The app provides a 360-degree view of the process while a radiographer explains how it works — including what happens during and after the scan. The VR technology allows children to feel as though they are inside an MRI scanner and experience what it will be like on the day. Children have the opportunity to get accustomed to the loud tapping noises that happen during the scan…as well as learning that they need to keep still for the duration of the scan. My MRI at King’s is available at the Google Play Store.